Alice Fremuth-Wolf is Secretary General of VIAC as of January 2018; before she was VIAC’s Deputy since 2012. Having studied law at Vienna University (Mag. iur. 1995, Dr. iur. 2002), Utrecht University (1994) and the London School of Economics and Political Science (LL.M. 1998), she served as assistant professor at the Department of Civil Procedure Law at the Law Faculty of Vienna University. 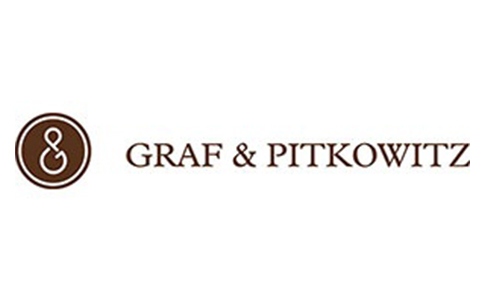 Before opening her own practice in 2004, she worked with major Austrian law firms and acted as party representative and arbitrator in international commercial arbitration cases. 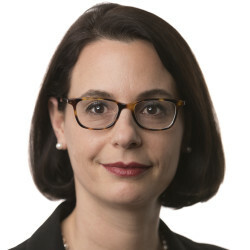 Eliane Fischer is a member of the dispute resolution group of Freshfields Bruckhaus Deringer. She is a Swiss qualified lawyer and is based in Vienna. 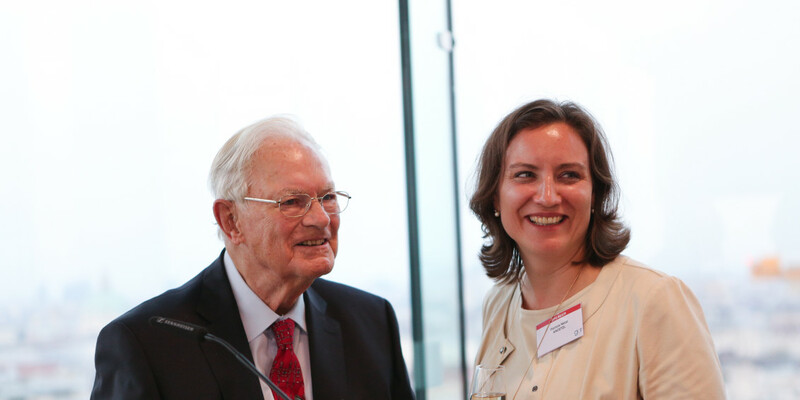 Eliane Fischer focuses her practice on complex international arbitrations. She has experience in disputes involving construction and engineering, sales, supply and distribution contracts, joint ventures, energy law, the IT industry as well as investment disputes. She has acted as counsel or co-counsel in cases under various arbitration rules and also acts as arbitrator. 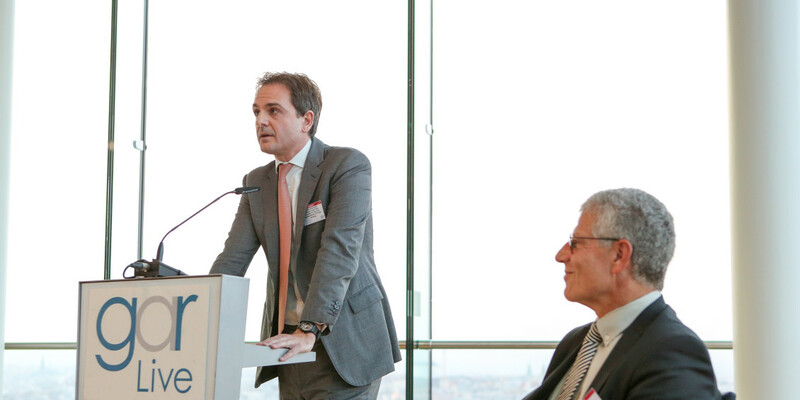 Stefan Riegler heads the Wolf Theiss arbitration practice in Vienna. 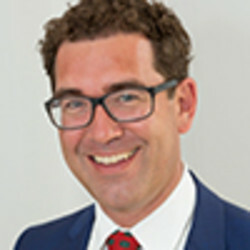 He specialises in commercial disputes, especially in the energy, construction and infrastructure sectors; he is also experienced in handling competition, post-M&A and banking disputes. 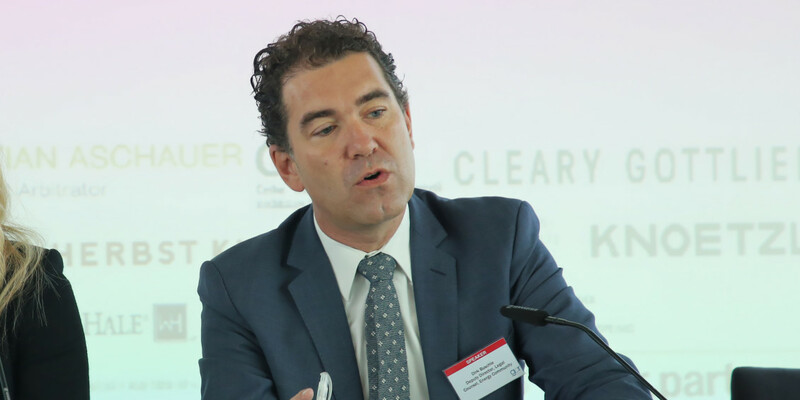 Stefan has acted as counsel and arbitrator under major arbitration rules, including the ICC, DIS and Vienna Rules, as well as in ad hoc arbitration proceedings. 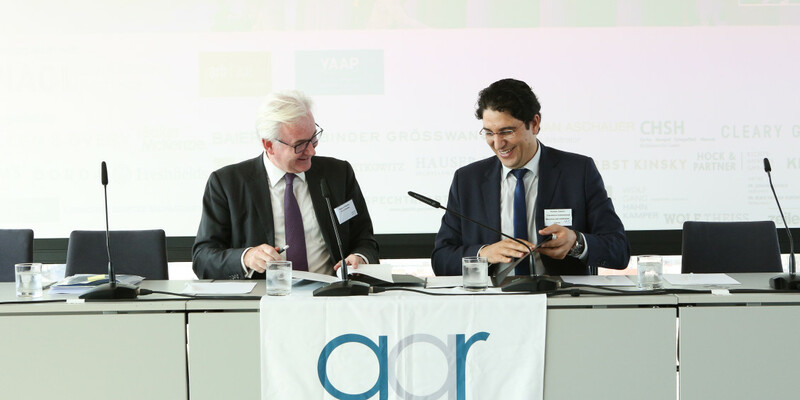 He is a member of the board of the Austrian Arbitration Association (ArbAut), the ICC Commission on Arbitration, as well as various other international arbitration organisations and is the author of numerous articles and publications on arbitration. 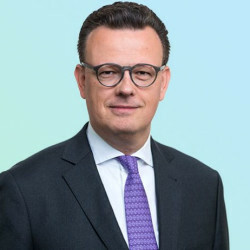 Jörg Risse, Baker McKenzie Frankfurt, is widely considered as one of Germany's leading arbitration lawyers, arbitrators and mediators (Chambers Global, Legal 500, JUVE, Who's Who). 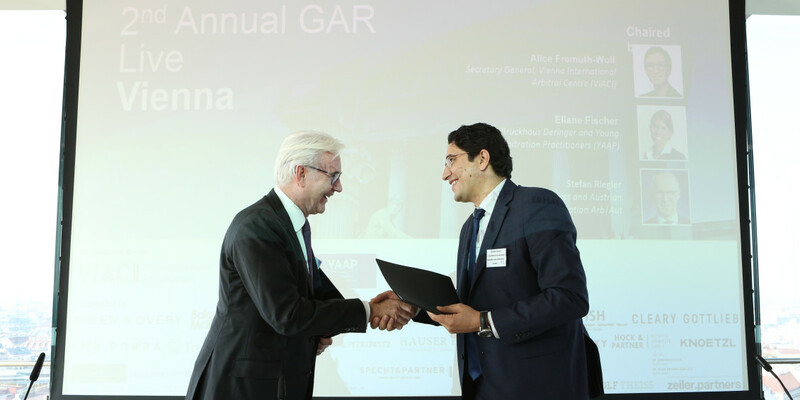 GAR / Who's Who Legal named him a "thought leader - arbitration" in 2018. 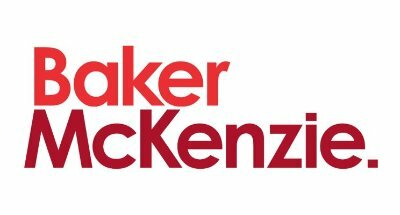 His main areas of practice are post M&A disputes (reps & warranties, price adjustments) and disputes related to large infrastructure projects (power plants, offshore wind farms, airports). Joerg Risse teaches advocacy skills and dispute resolution at the University of Mannheim and holds a lectureship in oral advocacy (rhetoric's) at Humboldt University Berlin. 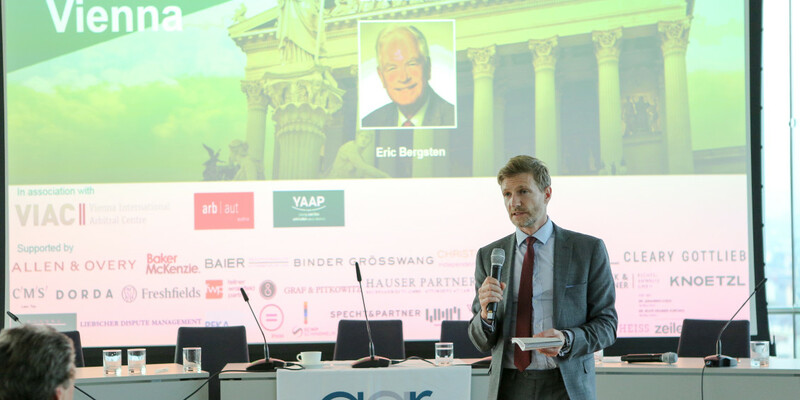 Professor Eric E. Bergsten has had a distinguished sixteen-year career with the United Nations where he served the United Nations Commission on International Trade Law (UNCITRAL), first as Senior Legal Officer and then as Secretary of the Commission. From 1985-1991 he was Chief of the International Trade Law Branch of the Office of Legal Affairs. This branch serves as secretariat of UNCITRAL. 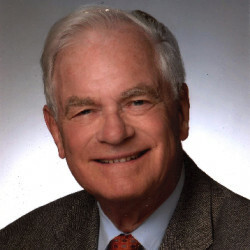 During his fifteen years of law school teaching he taught a number of commercial law and international law courses at Fordham University, the University of Iowa, and Northwestern University. His numerous writings and teaching focus on commercial law and international trade law. 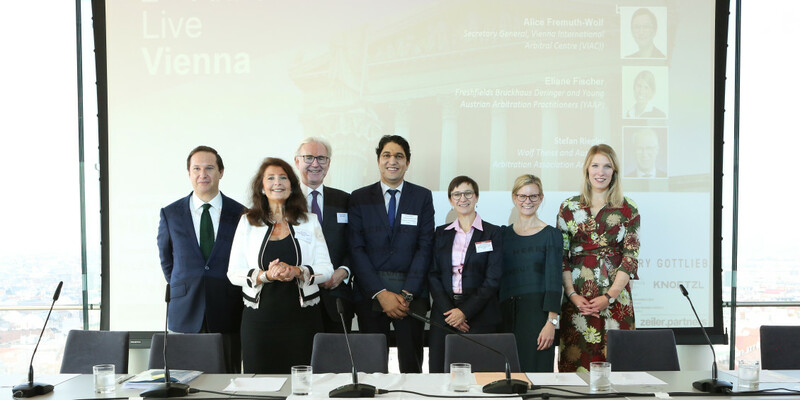 Professor Bergsten developed and administers Pace's Willem C. Vis International Commercial Arbitration Moot held annually in Vienna, Austria. 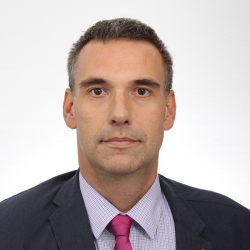 Davor Babić is a professor of private international law and international arbitration at the University of Zagreb Faculty of Law, and a recurrent visiting professor of international commercial arbitration at the Central European University in Budapest. He has sat in 64 commercial arbitrations as chair, sole arbitrator or party appointed arbitrator under various arbitration rules (including ICC, LCIA, VIAC, and UNCITRAL Rules) and in various seats of arbitration. He has also chaired dispute adjudication boards under FIDIC construction contracts. Prof. Babić is a member of the ICC International Court of Arbitration. 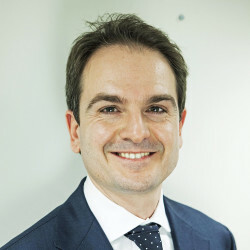 Stavros Brekoulakis is a Professor in International Arbitration at Queen Mary University of London and associate member of 3 Verulam Buildings, Gray’s Inn, London. He is regularly listed in the Who’s Who Legal: Arbitration, in the Who’s Who Future Leaders: Arbitration 2017 as one of the ten most highly regarded future leaders, described as “very thorough and professional” and “held in the highest regard”, named as a GAR Thought Leader—Arbitration 2018, and nominated for GAR “Best Prepared and Most Responsive Arbitrator” in 2016. Brekoulakis has been appointed in more than 30 arbitrations, as chairman, sole arbitrator, co-arbitrator and emergency arbitrator under the rules of the ICC, LCIA, SCC, DIA, CAS and UNCITRAL Arbitration Rules. 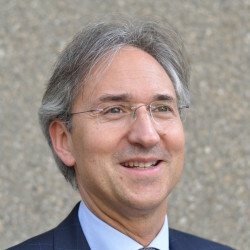 Dirk Buschle is Deputy Director of the Energy Community Secretariat since 2011 and has led its legal unit since 2007. As Chairman of the Energy Community Dispute Resolution and Negotiation Center, he is also responsible for dispute resolution and negotiations and has acted as mediator in high-profile investor-state conflicts in the energy sector. He is a certified negotiation facilitator. 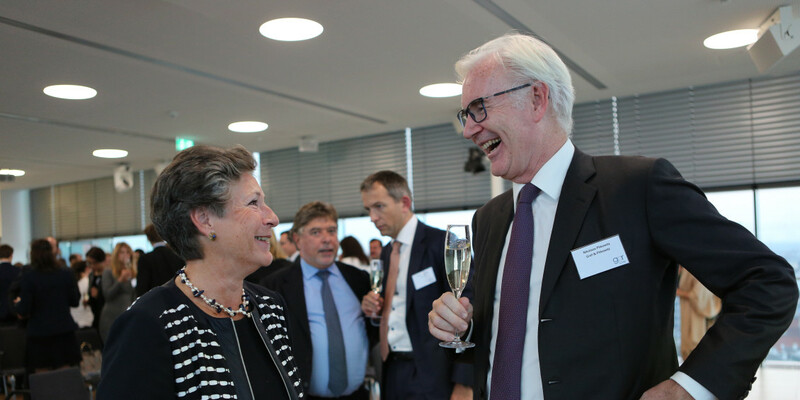 Prior to his current position, Dirk was Head of Cabinet of the President of the Court of Justice of the European Free Trade Association (EFTA) in Luxembourg. 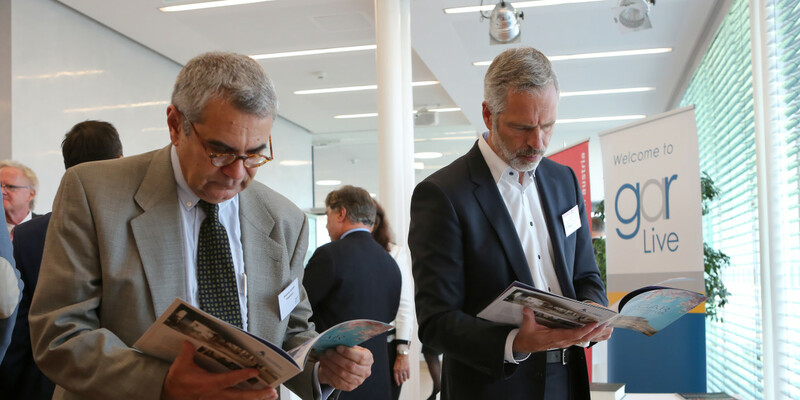 Dirk is also Professor and Chairholder of the Iberdrola Manuel Marin European Energy Policy Chair at the College of Europe in Bruges. Nadia Darwazeh is a Partner and Head of Arbitration of Clyde & Co's Paris office. Nadia has extensive experience acting as counsel and sitting as arbitrator in commercial and investor-state arbitrations. 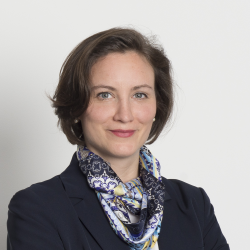 Before joining Clyde & Co, Nadia practiced for nearly two decades in the International Arbitration Groups of leading international law firms in Paris, Shanghai, Frankfurt and London and as Counsel at the ICC, where she headed up the MENA team. 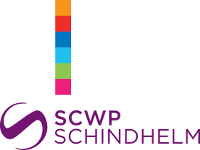 Nadia is dual-qualified in England & Wales (Solicitor-Advocate) and Germany (Rechtsanwältin). She earned her LLM in International Public Law from the University of Cambridge and her LLB from the University of Warwick. She conducts arbitrations in French, German and English and speaks Dutch and Mandarin Chinese. 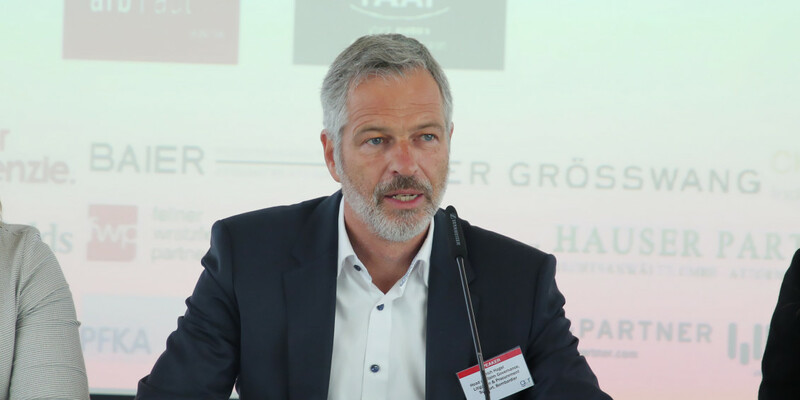 Daniel Girsberger is a founding member of the Faculty of Law of the University of Lucerne (www.unilu.ch) and a tenured professor for Swiss and International Private, Business and Procedural, as well as Comparative Law. Before accepting the Lucerne assignment, he taught at the University of Zurich law school. He has acted as a visiting professor at various institutions world-wide such as in Brazil, Lithuania, South Africa, and the United States. 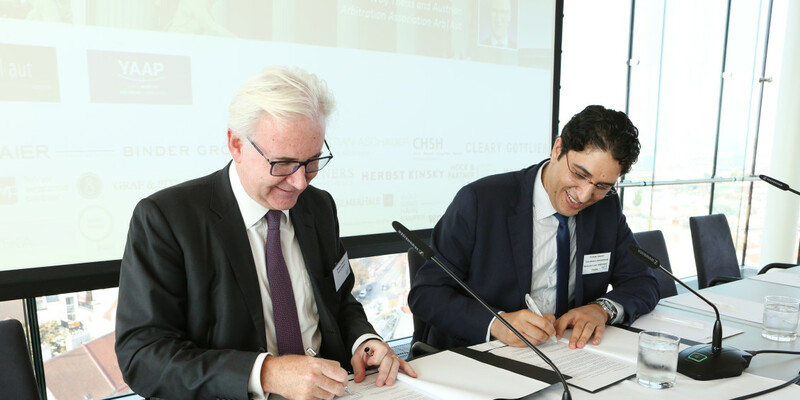 He is also of counsel at Wenger & Vieli Ltd., a major Zurich business law firm (www.wengervieli.ch) and a frequently chosen chairman, co-arbitrator and legal expert in international arbitration proceedings. Over 100 arbitration cases, the majority of which ICC. Austrian member of the ICC International Court of Arbitration from 2012 to 2018. 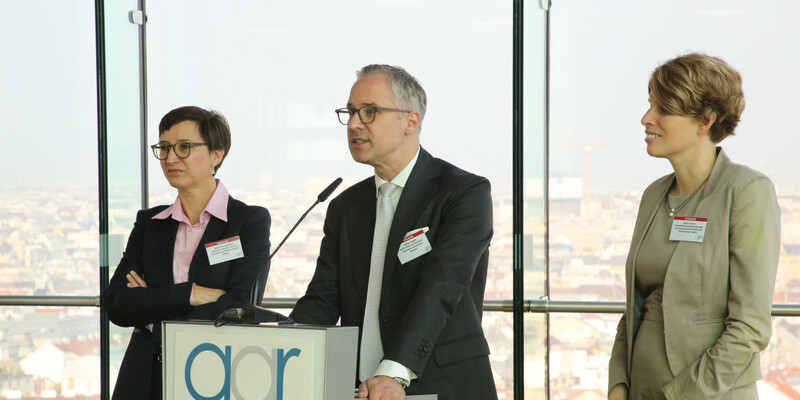 Ranked by Chambers in Band 2 for arbitrators in Austria. ICC Bulletin has published two of his cases, one about the FIDIC Red Book, the other procedural. Fully trained in Common Law: LL.M. from Georgetown, admitted to the bars of New York and Washington, D.C. and four years practical experience in Washington, D.C. In-depth accounting training due to several years' work at Ernst & Young. 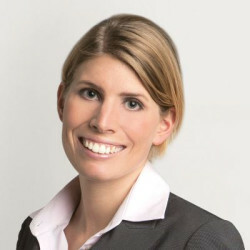 Amy Kläsener is a partner in Dentons’ Frankfurt Office and leads the disputes team in Germany. Amy focuses on international commercial arbitration and has particular expertise in engineering, construction and M&A disputes. Amy is a member of the ICC Commission on Arbitration and ADR. From 2008 to 2010 she served as Secretary to the IBA Rules of Evidence Subcommittee tasked with revising the 1999 IBA Rules of Evidence. Amy is currently editing the GAR Guide on M&A arbitration (forthcoming 2018). She is passionate about innovation in delivering legal services, including by harnessing legal technology and process and project management techniques. Barton Legum is a partner in Dentons’ Paris office and head of the firm's investment treaty arbitration practice. 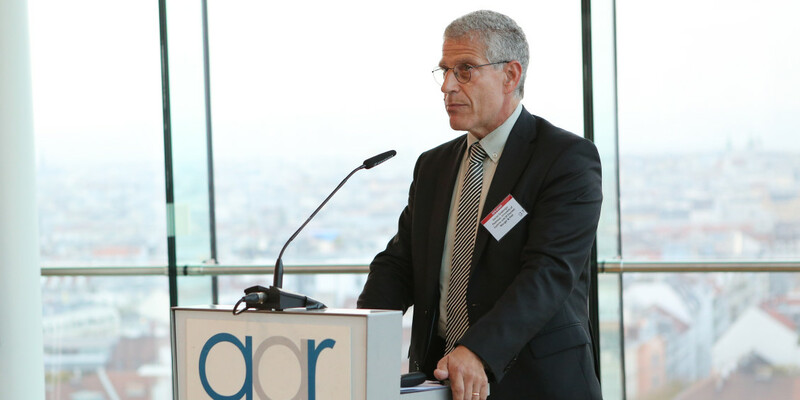 Bart has 30 years' experience in litigating complex cases before international courts and arbitration tribunals. 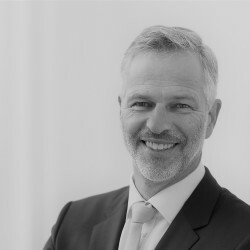 He is a member of the Board of the Arbitration Institute of the Stockholm Chamber of Commerce, and is a conciliator for investment disputes before ICSID. Bart formerly served as Chief of the NAFTA Arbitration Division in the Office of the Legal Adviser, U.S. Department of State, winning every case. 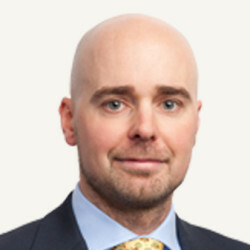 Bart is an editor of the Investment Treaty Arbitration Review, and regularly publishes and speaks on international dispute resolution, arbitration and public international law. Martin Magál is managing partner and head of Allen & Overy's Litigation and Arbitration practice in Slovakia. He also co-ordinates the Dispute Resolution practice in Allen & Overy's CEE offices. 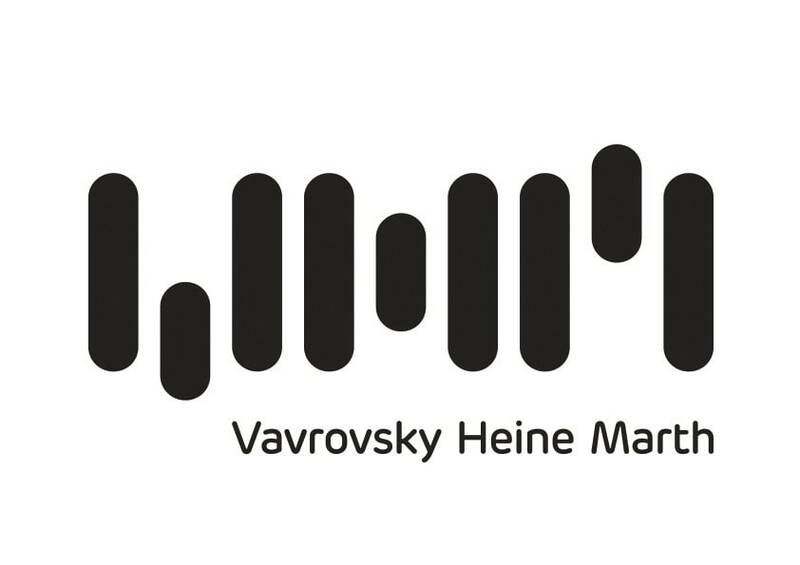 Martin frequently acts as party representative in numerous arbitrations conducted under the arbitration rules of the ICC, VIAC, SCAI, SCCI (Court of Arbitration of the Slovak Chamber of Commerce and Industry) and PAC SBA (Permanent Arbitration Court of the Slovak Banking Association). He has also acted as an arbitrator in arbitrations conducted under International Chamber of Commerce (ICC), German Institution for Arbitration (DIS), Economic and Agricultural Chamber of Czech Republic and Vienna International Arbitral Center (VIAC) rules. Martin is a Fellow of the Chartered Institute of Arbitrators. 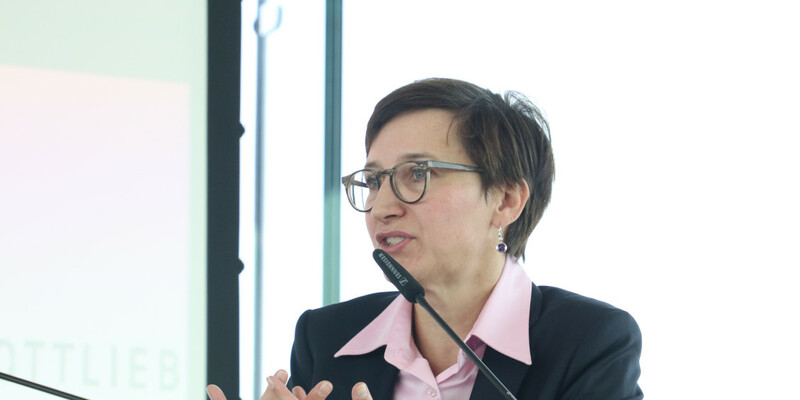 Patrizia Netal is co-founder and partner at KNOETZL, a leading Austrian firm specialized in arbitration, litigation, alternative dispute resolution and business crime. Patrizia practices both as counsel and arbitrator. She has extensive experience in institutional and ad-hoc arbitration proceedings under the ICC Rules, VIAC Rules, DIS Rules and UNCITRAL Arbitration Rules focusing on construction and engineering, post-M&A disputes, aviation, distributorship and international sales contracts. 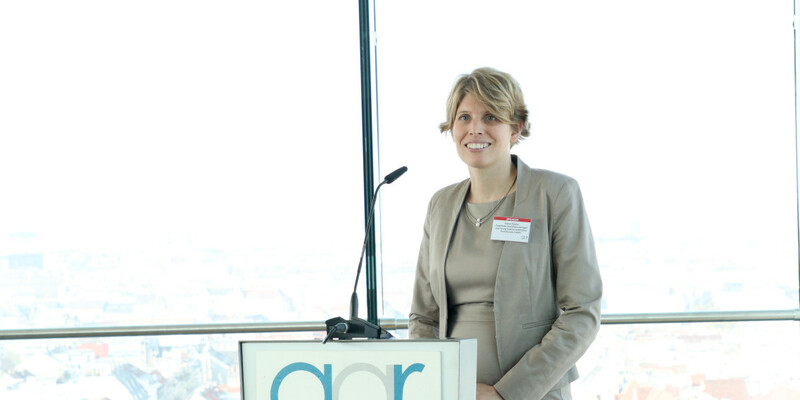 Patrizia is the Co-Director of the Willem C. Vis International Commercial Arbitration Moot and currently serves as co-chair of the Young Austrian Arbitration Practitioners (YAAP). 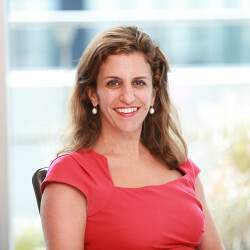 Allison Nold is a member of the Litigation, Investigations and Regulatory Affairs team at Airbus and is Head of Commercial Disputes. She is qualified in Florida (2007) and Illinois (2008). Before joining Airbus, she specialized in commercial litigation and aviation products liability in the United States. 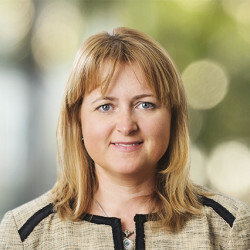 She currently leads a team within the Litigation and Investigations department that focuses on civil and common law commercial disputes at Airbus and its Divisions, including sale and supply contracts, NDA and trade secret matters, and patent disputes. 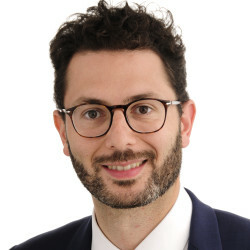 Paschalis Paschalidis was a référendaire (law clerk) for First Advocate General Melchior Wathelet at the European Court of Justice from November 2012 to October 2018. He assisted AG Wathelet in several cases involving EU law, international law and arbitration, including most notably C-284/16 Achmea. Prior to joining the ECJ, he was an associate at the international arbitration group of Shearman & Sterling LLP (2009-2012). He is admitted to the Bar of Thessaloniki (Greece) and holds a DPhil in Law from the University of Oxford. 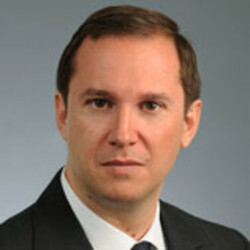 He is the author of several publications dealing with private international law, EU law and international arbitration. 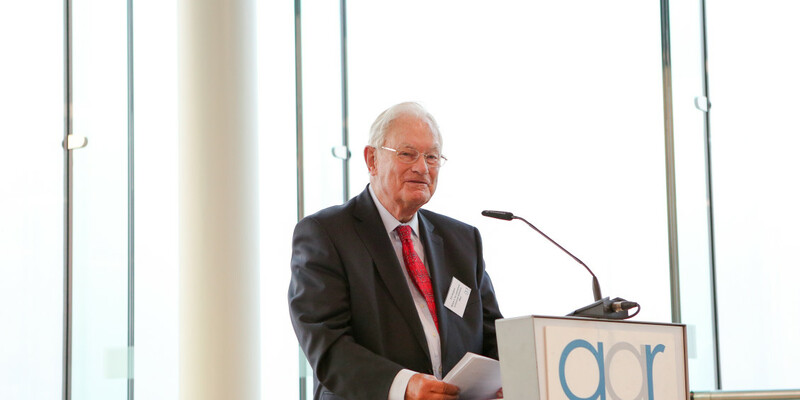 August Reinisch has been a professor of international and European law at the University of Vienna since 1998. 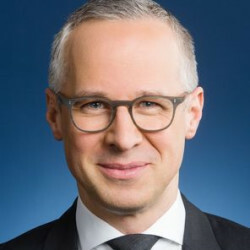 He is a Member of the International Law Commission, a membre associé of the Institut de droit international, President of the Austrian Branch of the ILA and President of the German Society of International Law. 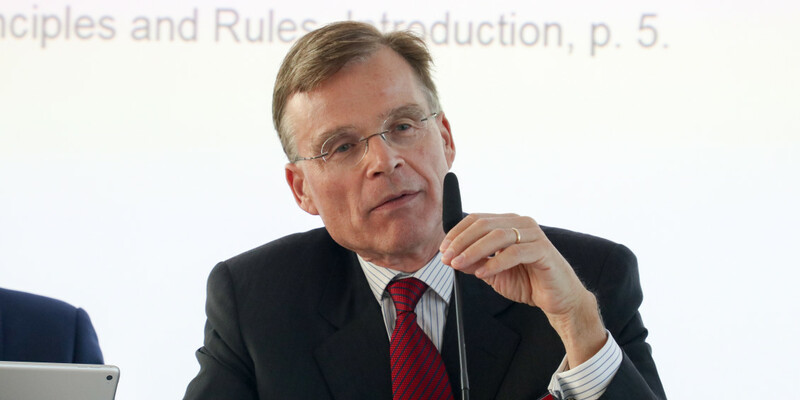 August Reinisch has served as arbitrator in investment cases mostly under ICSID and UNCITRAL Rules, and frequently provided expert opinions in the field. He is a Member of the ICSID Panels of Conciliators and of Arbitrators and of the Court of the Permanent Court Arbitration. 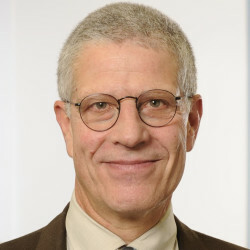 Jan K. Schäfer heads the King & Spalding dispute resolution practice in Germany. 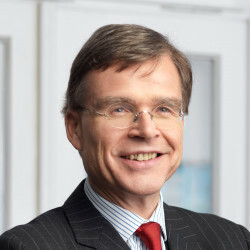 As a partner in the Trial and Global Disputes practice, Jan represents foreign and German clients in domestic and international arbitration matters, both commercial and investor-state. He appears before German courts in first- and second-instance matters, including the taking of evidence for foreign proceedings, interim relief and enforcement matters, and has an active international arbitrator practice. 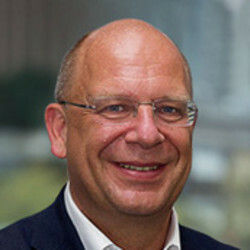 Franz Schwarz focuses on complex multi-jurisdictional disputes. He has extensive experience with arbitral practice, procedure and advocacy both in civil and common law systems. 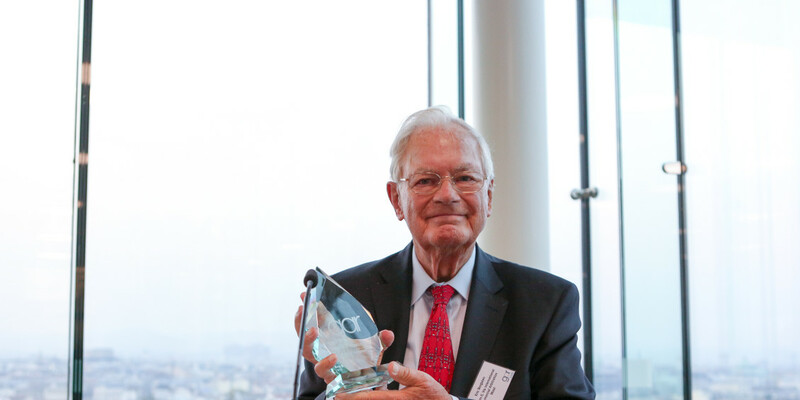 Mr. Schwarz has been involved in more than 200 arbitrations as counsel and arbitrator, both ad-hoc and before all major arbitral institutions (including ICC, LCIA, Vienna and Stockholm), at multiple seats and governed by a broad variety of substantive and procedural laws. 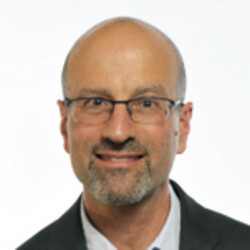 He has a particular focus on joint venture, M&A, financial services, project finance, as well as commercial and corporate disputes. 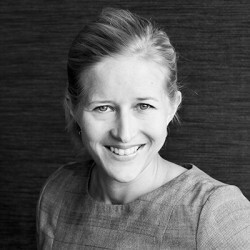 Anna-Maria is Partner in Hannes Snellman’s Helsinki and Stockholm offices. She has experience in commercial and investment disputes in the fields of general commercial law, international sales, post M&A, competition law, telecoms and energy under various arbitral rules and state courts. She acts as arbitrator in domestic and international disputes. Fluent in English, Finnish, Swedish, German and French, she is a graduate of the University of Turku (Erasmus exchange year in Vienna) and New York University. Anna-Maria is admitted as attorney in Finland and New York. 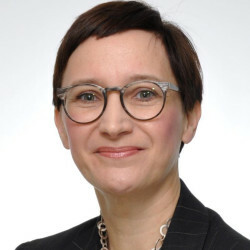 Anna-Maria is a member of the ICC Court and co-chair of ASA below 40. 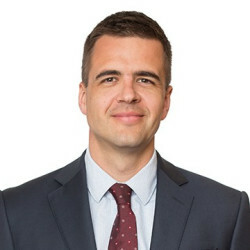 Dalibor Valinčić is a Partner and the head of the dispute resolution practice at the Wolf Theiss Zagreb office. He focuses his practice on investment and commercial arbitration and also has extensive experience in corporate, M&A and financing transactions. He combines an international perspective that comes from advising clients from many different countries, with a very good local rapport. 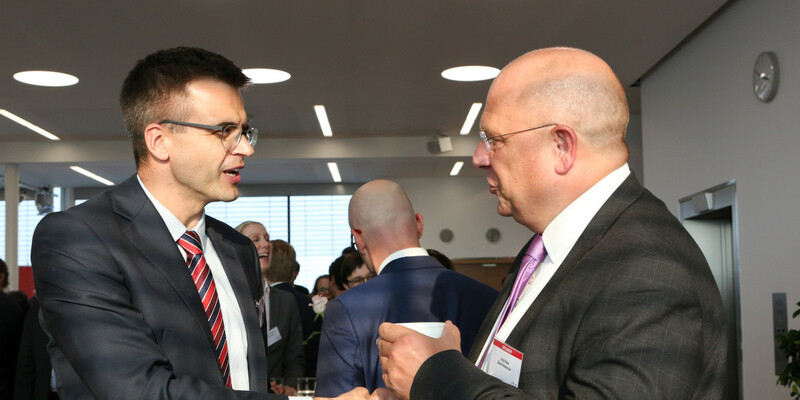 Dalibor has successfully represented investors in multi-million dollar arbitrations under both ICSID and UNICTRAL Rules. His commercial arbitration experience includes representing and advising clients in arbitrations under the VIAC Rules, ICC Rules and the local Zagreb Rules. His sector experience covers industries such as oil and gas, global hospitality providers, and multinational food manufacturers. Julia Zagonek is a partner of White & Case and an English solicitor-advocate. She specializes in international investment and commercial arbitration and advises on a wide range of contentious matters. 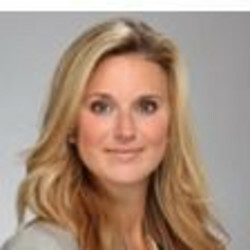 Julia has worked for a broad spectrum of international clients, both multinational corporate entities and high-net worth individuals advising in complex multi-jurisdiction disputes and arbitration proceedings conducted in accordance with the rules of LCIA, VIAC, ICC, AAA, SCC, SIAC, UNCITRAL, ICAC. Julia is a member of the LCIA Court and ICC Court, as well as an ICC Russia Nominations Committee member. Also she is regularly appointed as arbitrator. 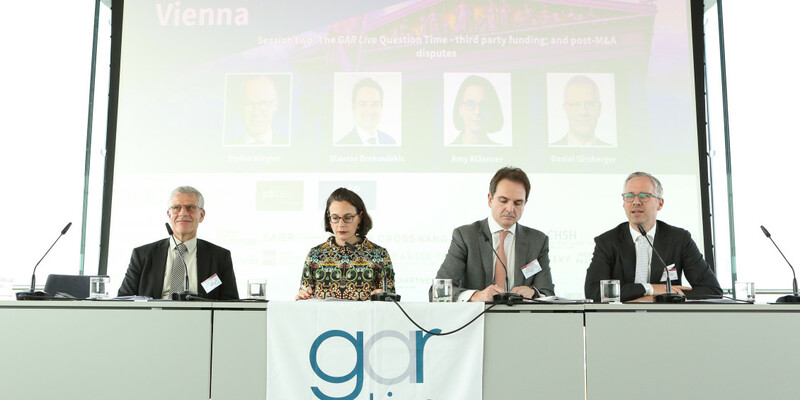 9.45: Session one: Settlement in arbitration – should more cases settle and, if so, what is getting in the way? Settlements are the preferred option for most businesses and are almost always attempted before cases go to arbitration or litigation. So, when negotiations have already failed, and one side is waging arbitration, is that it? Has all opportunity to settle been lost? 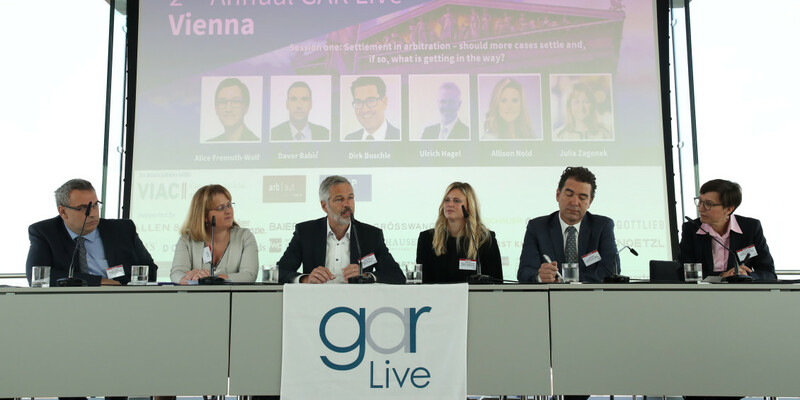 In this panel, leading names will explore why some cases fail to settle, how settlement in arbitration compares with settlement in national litigation, and what the world of arbitration can or should do to get the balance in settlement right. In particular they will ask: should the arbitral tribunal engage in such negotiations, and to what extent? 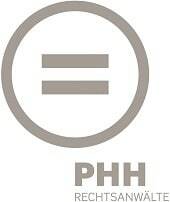 Or is this better left to third party neutrals? What do institutional figures show on the settlement ratio and on the types of cases that are settled? 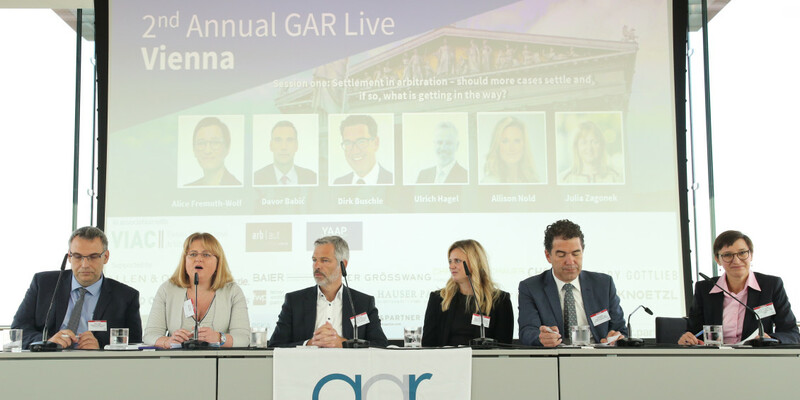 What role do parties, arbitrators, counsel and arbitral institutions play? What are potential pitfalls when a settlement is reached? 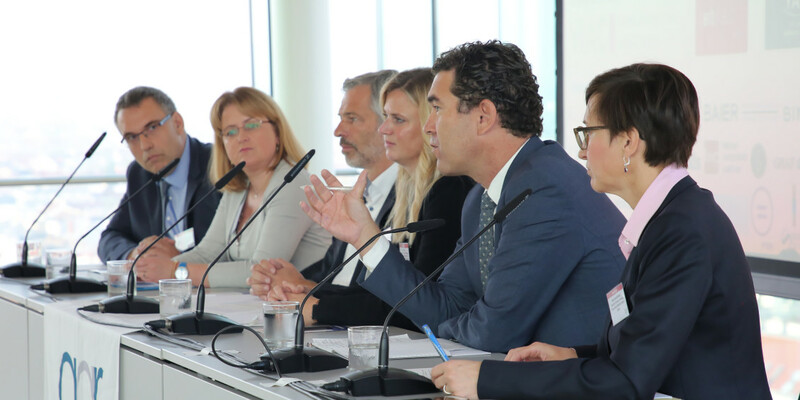 What is the role of the arbitral tribunal in settlement negotiations? How can you spot the right time to settle? What are the signs? How do cultural differences affect settlement negotiations? How can you ensure the settlement is binding and awarded on agreed terms? What dispute mechanisms are available here? What goes wrong – are there cases that should settle that fail to, and are there settlements that collapse over disagreements about what was settled? How should parties best execute the settlement agreements? Delegates will pre-submit questions in advance on the special topics: “third party funding” and “post-M&A disputes”. The moderators and members of the panel will engage in a discussion with the audience. 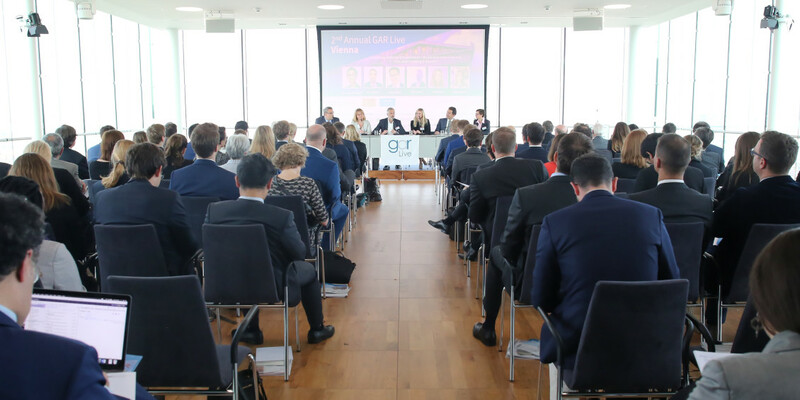 14.15: Session three: The future of investment arbitration - where do things go from here? The world of investor-state disputes is in flux – from the Achmea ruling to proposals for investment courts to rule changes. How do all these changes play out? 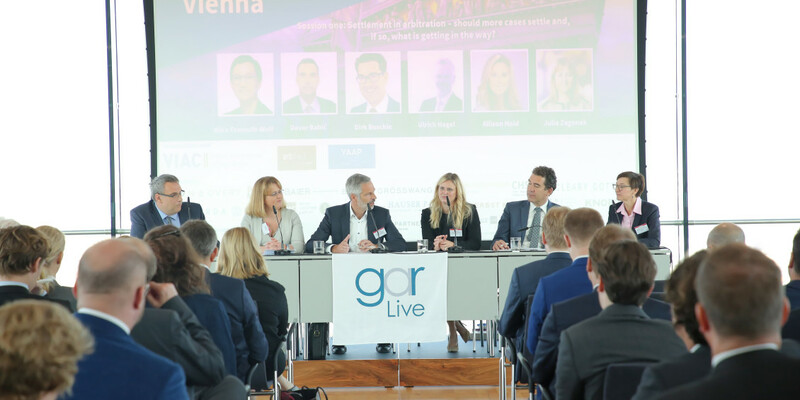 In this panel, speakers will do their best to help the audience chart a course through these disparate events and form a picture of what investor-state work will look like in five years. What kinds of cases will be being brought – under what instruments, and before which institutions? 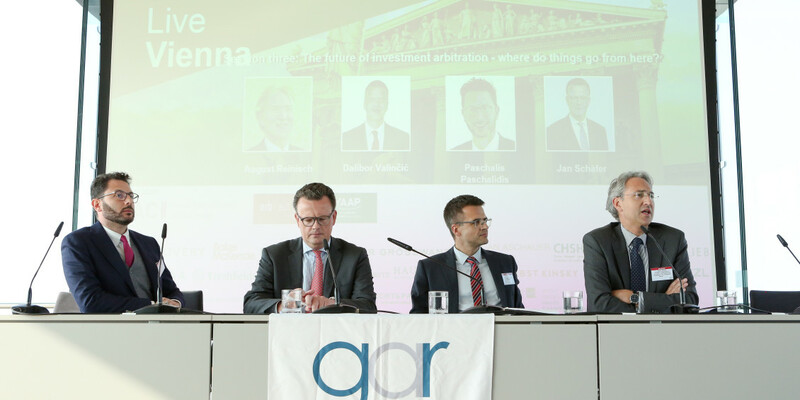 How will the Achmea ruling change the intra-EU landscape of investment arbitration – and what changes have emerged from the decision already? Who were the winners and losers? 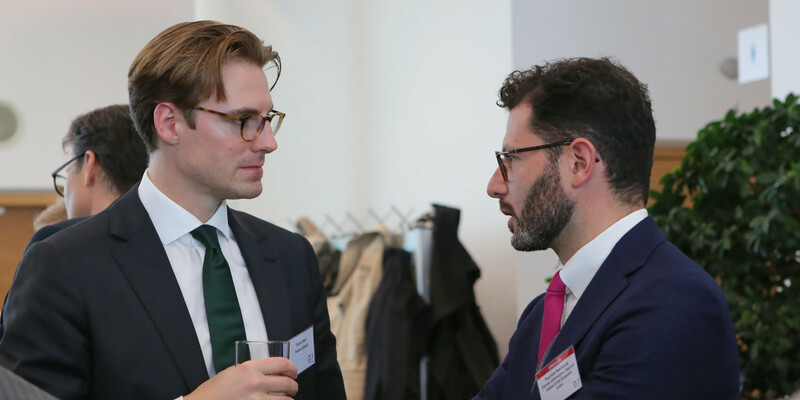 Would a European Investment Court constitute a big change to European investment arbitration? Could or should transcontinental trade deals (e.g. 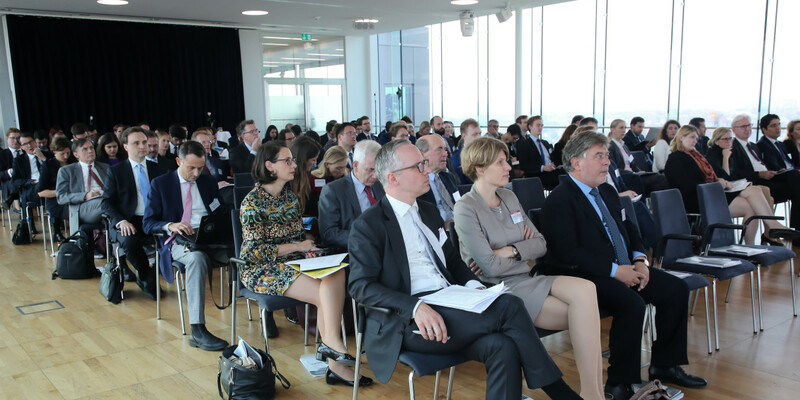 TTIP) trigger a new era of investment arbitration? Can the same be said for major infrastructure projects like the Belt and Road initiative? How far should a revision of the ICSID Rules go? What other challenges does ICSID face that might not be handled through a revision of the rules? In Oxford Union style, we will hear teams of debaters argue in favour of, or against, a motion. A panel of three judges will then voice opinions on what has been heard, before choosing which side to support and giving reasons for their decisions. 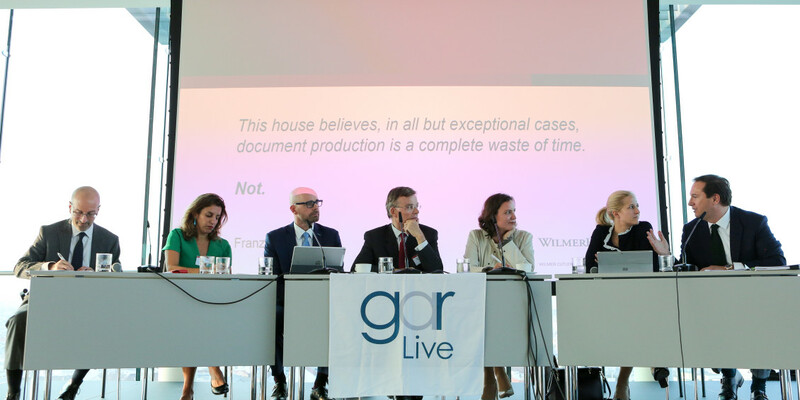 Motion: "This house believes, in all but exceptional cases, document production is a complete waste of time"
"Very exciting discussion; extra points for letting the delegates come up with questions"